The NASL and Under Armour announced their official match ball partnership today. Beginning this spring, the global sports brand’s custom-designed ball will be used on pitches across the league. "Under Armour has quickly become a major player in the global soccer scene, and we believe that this partnership will benefit all who are involved in the game both here and abroad,” NASL Commissioner Bill Peterson said. “When our players and coaches got their feet on the Under Armour Desafio ball for the first time, the responses were great. It's a fantastic ball." With Under Armour as the Official Match Ball Partner of the NASL, clubs will exclusively use the Under Armour ball in all training sessions, matches, and community activities. Additionally, the official match ball will be available for NASL fans to purchase on NASLShop.com. The match ball features the NASL’s signature red and blue colors, as well as the league’s logo. 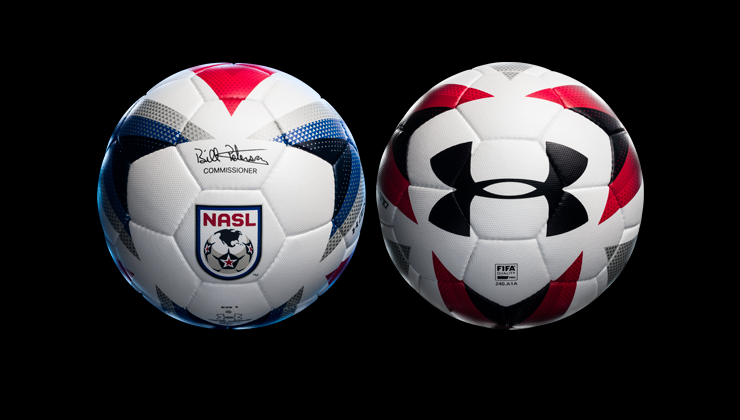 “Under Armour is proud to support a professional organization such as the NASL as the league's Official Ball Partner. Together, we will continue to help grow the sport of soccer in North America,” said Peter Murray, VP of Sports Marketing, Under Armour. As an industry leader in sports apparel, footwear, and equipment, Under Armour is no stranger to soccer. The Baltimore-based company currently outfits world-renowned clubs such as Tottenham Hotspur, FC St. Pauli, AZ Alkmaar, and São Paulo FC, as well as players like Memphis Depay of Manchester United, Granit Xhaka of Borussia Mönchengladbach, and 2015 FIFA Women’s World Cup winners Lauren Holiday and Kelley O’Hara. As one of the world’s fastest-growing sports companies, Under Armour already has an extensive sports partner portfolio that features dozens of professional teams, college teams, and athletes from around the globe. The partnership represents Under Armour’s first involving an official soccer match ball. 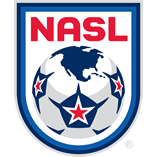 NASL clubs have already been using the ball for their preseason training sessions; it will make its official debut on April 2 when the league kicks off its 2016 Spring Season.